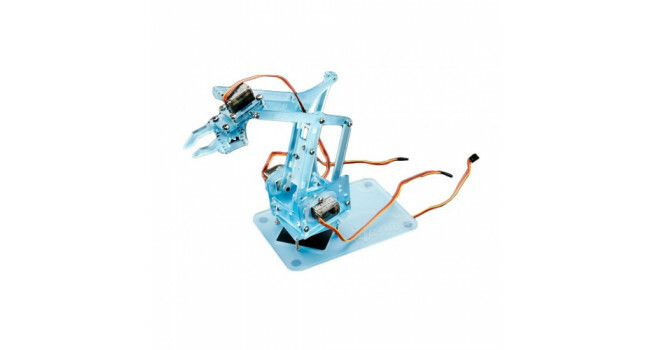 We like our robots cute, functional, and fun - and this DIY project, the MeArm Pocket Sized Robot Arm fulfills all those criterias and more. 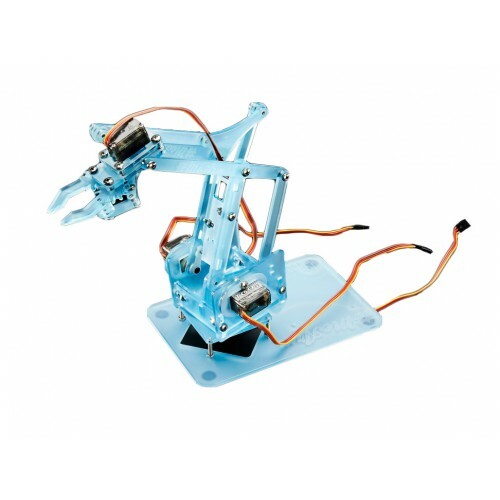 The MeArm kit is an open source robot arm by Phenoptix that's designed to work the Arduino (or any microcontroller that can drive hobby servos) to give you a moving, grasping robotic arm. The arm itself is lightweight - weighing just 225 grams - and super small. It's still a work in progress, more tutorials and examples are coming out, so we suggest it for people who are comfortable with tweaking the open source code & design files to meet their needs. 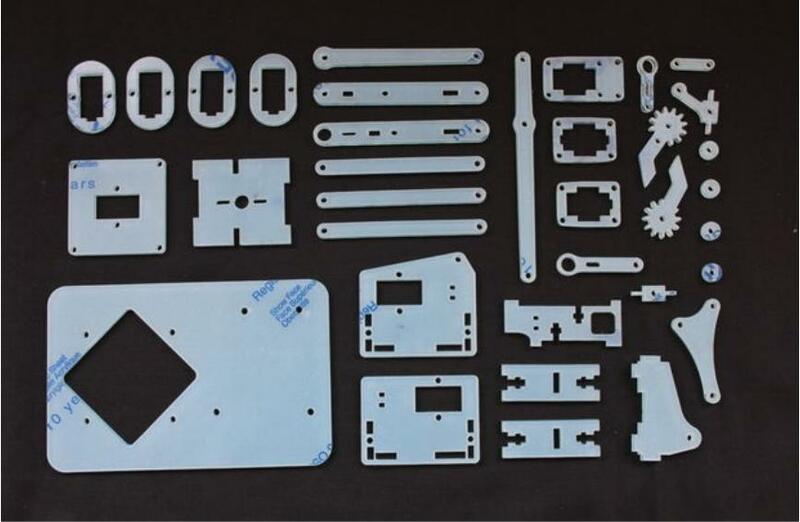 The Pocket Sized Robot Arm comes with all the acrylic parts, hardware (screws, nuts etc) needed as well as four hobby servos. 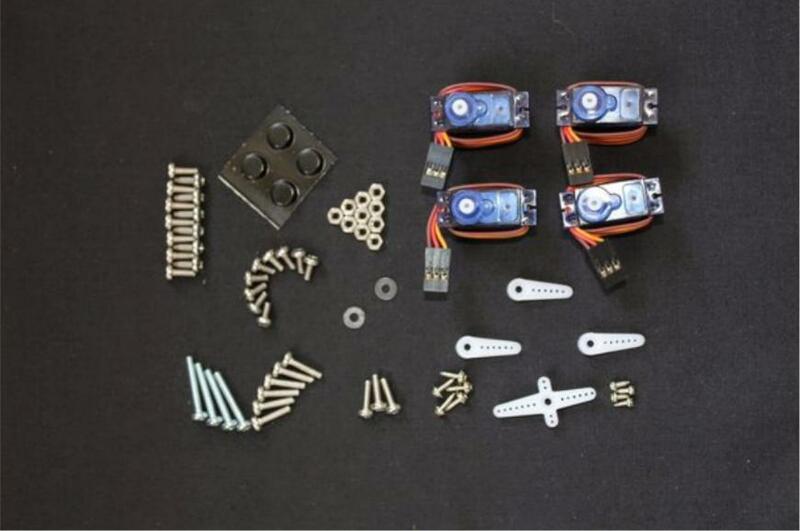 Build instructions are available here and there's a Github with example code and list of controls. This version comes in a frosted blue acrylic.